Have you ever written a great paragraph only to find that it’s full of grammatical errors? All of us have faced this problem many times and we still do, at the same time, there are hundreds of tools to mitigate this problem, but the problems lie in the difficulty to choose one. I have written my fair share of posts, articles and emails and tested a lot of tools in the past. This has led me to finally zero-in on a tool that made me look no further. 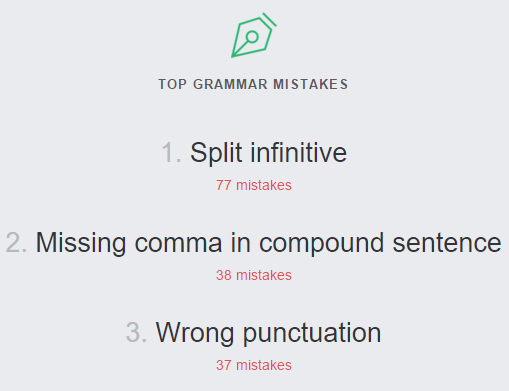 Grammarly falls under the second category. 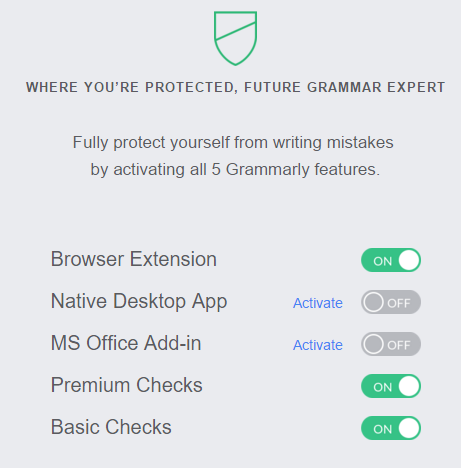 Grammarly is primarily a spell-checker and a grammar-checker tool. But it does even more. It can also perform plagiarism checking, punctuation checking, suggest writing style enhancements, form sentence structures and design different document types. 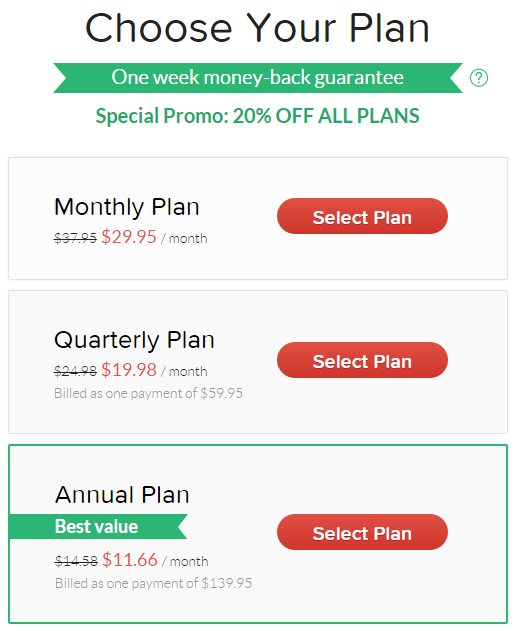 It also has a premium version which you can check out at the end of this post for their payment plans. 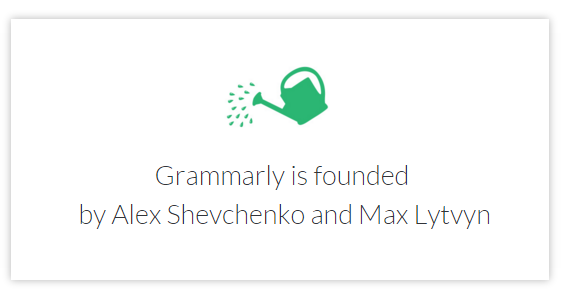 This tool was launched in 2009 by Alex Shevchenko and Max Lytvyn (check Max’s blog) who founded Grammarly in 2008. 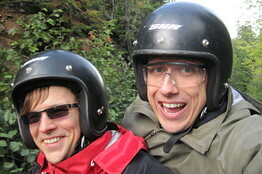 Grammarly, Inc., is headquartered in San Francisco, with an additional office in Kiev, Ukraine. The company’s CEO, Brad Hoover, is an investor with a background in engineering, who got to know about Grammarly while searching for a writing enhancement platform for his own writing. It comes in various ways to help you as per your needs – Web app, Chrome Extension, Desktop version and Microsoft Office Add-in. The core benefit of using Grammarly is its contextual suggestions. It reads and understands the context in which you write and suggests changes according to that situation, so you need not worry about pressing hard to think about grammatical errors and thus save loads of time and heart work in your creatives. See below for the tasks that you can use under ‘When can you use it’ heading. Well, if you are really an expert in writing without any spelling or grammar issues, then you don’t need this tool. But who is perfect in this world? It happens to all of us. This tool is much needed in this chaotic world when our creative juices just flow, where it makes all the more sense to just write with a flow and edit later. While editing later, this tool will be your boon. You can access these above-given types by placing your mouse cursor on the pen nib icon that is on the left side of the screen. 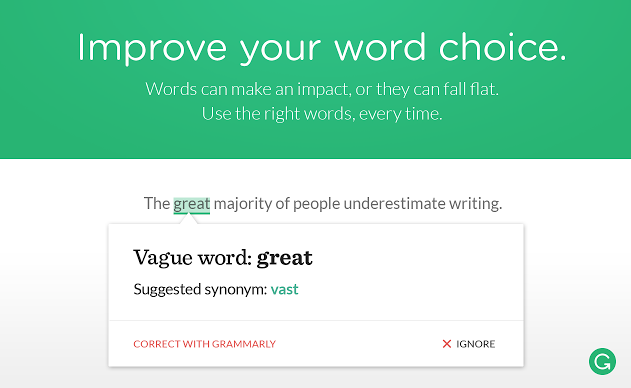 Grammarly is used by millions of users already. Here is a social proof from their website. 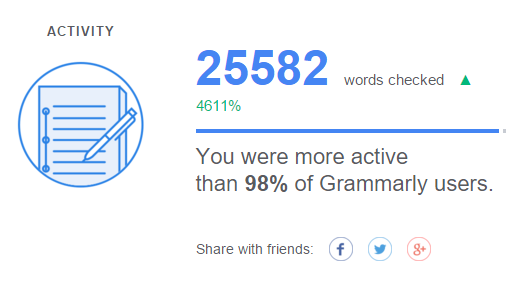 There is not much of a downside per se while using Grammarly, as it does have a lot of benefits which outweighs these. However, there will be times when you have to exercise caution while using the tool. For e.g. not always does the software understand your context. There will be times when it might misunderstand your motive in your sentence formation. See the below correction. Here I placed the word ‘Disadvantage’ to show as a sub-heading (I didn’t use the sub-heading tag, that could be the reason, however) visually. But Grammarly treats that as a repetitive word and suggests other words, which is fine as long as it suits the sentence’s meaning. With internet of things becoming the home of free stuff these days, your writing work could be easily just copied and pasted as either a repurposed content or just get plagiarized. 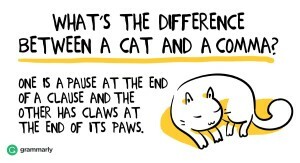 Grammarly comes to your rescue here. Though it’s a Premium feature and you have to pay to get this feature, and hey, if your writing career solely depends on your writing and others not stealing it, this is only an investment in your happiness. As you can see, it checks and verifies against 8 BILLION web pages! Yup, you read that correctly. If you don’t have an account on Grammarly, you can create one from here. 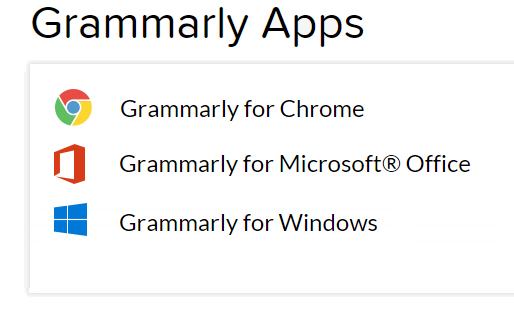 Now you know what Grammarly does. There is no reason for you to wait. It’s free (mostly) and has a great paid premium advantage if you choose to invest. Just sign up now and edit later! Activate all the features and make use of it to the fullest extent. Do you have any comments or questions on how to use, check out their support page (support works after you get your account registered with Grammarly), or you can also leave a comment here, and I will try to help you with your questions. Note: some of the links given in this post are affiliate links which mean I will get a small commission if you choose to get Grammarly, at no additional cost to you. It is just karma – I used Grammarly, liked it, and am now suggesting you use it. The choice is yours, always! Nice topic, I think I have to focused on this. Because I have take too much time to write an article the only reason is grammar. thanks for the valuable post.! I must say, this is a FANTASTIC review! You went all out here. I love the images and how they educate us on how this app works. I think this is one of the best reviews I’ve read in general. 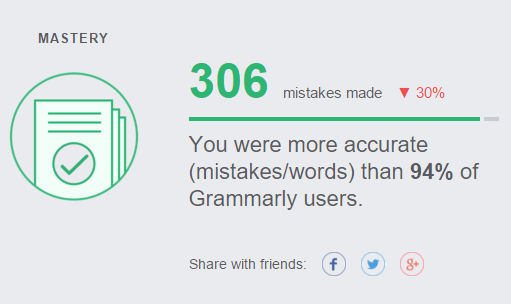 I think Grammarly does an accurate job with just about everything, but you mentioned one of the cons, and I’ve discovered this as well. It isn’t fool proof. It’ll pick up on things here and there that may be intentional on our part. I do still suggest that people check their work manually, but this tool has made my life so much easier – and it’s saved me a LOT of time with the one-click feature for fixing errors. I’ve been writing and editing my own work for years, and I think I’ve become proficient with this. 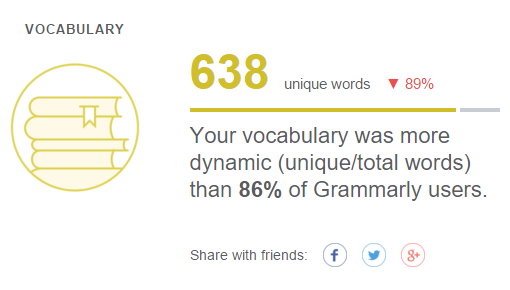 BUT…now that I’ve been using Grammarly, I wouldn’t want to work without it. Hello Dana! Welcome to The Key Ponderer! Great to see you here! First off, thanks for stopping by to comment on my review, you’ve sown some really kind words – Thank You! All said and done, Grammarly is certainly a new-gen tool that is making all our lives easier by saving time, making us look good by helping us write well, learn new words and perhaps save money if writing happens to be our job. Glad to see a silent revolution happening and Grammarly winning some established writers’ hearts like yours.